SYDNEY, AUSTRALIA (ANS — May 27, 2015) — Gordon Keith Mackenzie Moyes was born in Box Hill, Victoria on November 17, 1938. He was the eldest of four children. His father, Norman Moyes, was a baker, and together with his mother, May Moyes, ran the local cake shop. Norman was also an alcoholic. One of Gordon’s earliest memories is going with his mother one night to ‘look for Daddy’. They found him in the gutter, dead from alcoholic poisoning. This led Gordon to a lifelong commitment to abstinence. Gordon attended primary school in Box Hill and Box Hill South, and then Box Hill High School. His mother was left to bring up the four children and care for Norman’s demented mother. Jean and Maggie Perry, who worked in the cake shop, took Gordon along to the local Church of Christ. Gordon decided to stay in Sunday school and encouraged by Jean Perry, attended the World Convention of Churches of Christ conference held in Melbourne in 1952. It was at that conference as a 13 year old that Gordon responded to the call of the evangelist Dr E. Ray Snodgrass to consider a lifetime commitment to Jesus Christ. Feeling God was calling him into ministry, Gordon applied to the College of the Bible in Glen Iris. He had already been appointed a student minister at his first church in the inner-slum areas of Melbourne. At 18, he was the youngest student ever appointed. Gordon was ordained in 1959 at just 21. Soon after he and Beverley Vernon were married on 12 December 1959. Gordon ministered at Ascot Vale/Newmarket Churches for seven years. Jenny their first child was born during their time there. Keen to do further training, he enrolled in a US Bible college and after months of letters back and forth, their departure date was set for November 22, 1963 – the day President John F Kennedy was assassinated. The US Embassy in Melbourne was in turmoil, and although they had sent their possessions on to America, they weren’t allowed to follow them. With the US trip postponed, they were sent to Ararat in Northern Victoria to the Ararat Church of Christ. It was to be many years before he and Beverley finally travelled to America to undertake further study. Peter, their second child was born during their time in Ararat. 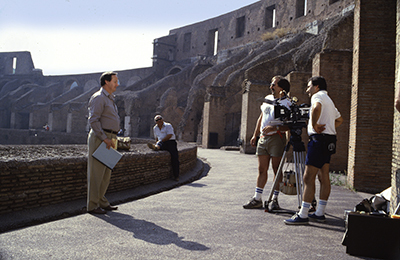 In Melbourne and then in Ararat, Gordon was asked to present the epilogue on the local TV stations. The presenters rotated amongst the various churches. He also wrote short devotional articles for the local newspaper. This was Gordon’s first foray into media, something he would become known Australia wide for. After two years in Ararat, Gordon was invited to accept the role of Senior Minister at the Cheltenham Church of Christ in Melbourne. Cheltenham was a booming suburb and under Gordon’s leadership the church expanded rapidly, which included the Church building one of the first Retirement Villages in Victoria. David and Andrew were born during their time at Cheltenham. In 1977, the then Superintendent of the Central Methodist Mission in Sydney, Rev Alan Walker announced that he would retire in December of that year. The search committee for a new Superintendent scoured the world, but eventually settled on a young minister from a Melbourne suburban church. Gordon Moyes was inducted as Superintendent of the largest Uniting Church parish in Australia in January, 1979. The newly founded Uniting Church was formed through an amalgamation of the former Methodist, Presbyterian and Congregational churches. As the church grappled with its new structure, Gordon had to grapple with the hierarchy of the Uniting Church whose head office was right next door to what was then renamed as the Wesley Central Mission. Throughout his 27 year ministry at Wesley, Gordon had to defend himself against criticism and interference from the Uniting Church hierarchy. Gordon was often critical of the Uniting Church, in particular its lack of adherence to what he saw as the foundational issues of the faith. Under Gordon’s leadership, Wesley Mission undertook its biggest building program ever. While visiting the top of Centre Point Tower one day and looking down at the Mission property, he realised that whilst they owned a very valuable piece of land that ran between Pitt and Castlereagh Streets, it was mostly covered by one or two storey buildings. The six storeyed Wesley Centre was the tallest building on the site. In 1988, the Mission moved off site to temporary premises in George Street, while the Pitt Street site was demolished and then redeveloped. Three years later the Mission returned to brand new buildings, featuring a new Wesley Theatre and Wesley Church, four floors of office space and a multi-storey high-rise office block, which they leased out to the developer for 99 years. In return, the developer built Wesley’s brand new facilities at no cost to the Mission. Before Gordon took up the position of Superintendent, he announced that he wanted to start a weekly, Sunday morning television program to be seen right around Australia. ‘Turn ‘Round Australia’ started on the TEN Network before moving to the Nine network. The management of Channel Nine provided the Mission with airtime and production time at no cost for more than twenty years. Using the new tax incentives for Australian film production in the early 80’s, Gordon set up Wesley Film Productions and hosted three, 12 part documentary series on the New Testament filmed on location in the Middle East. These series were seen around Australia and overseas. At the same time he commenced a three-hour Sunday night radio program on Sydney’s leading commercial talk station, 2GB which ran until 2002. 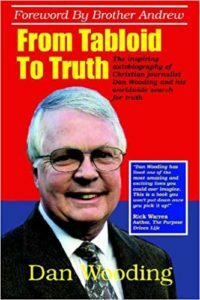 In 2002, he was invited by Rev Fred Nile to accept a casual vacancy caused by the retirement of Elaine Nile in the NSW Upper House. On September 2, 2002 he was elected to the Upper House at a joint sitting of both houses as a member of the Christian Democratic Party (CDP). He served eight years, losing his seat at the March 2011 elections. By that stage he had left the CDP and joined Family First, after falling out with Rev Nile. Like all people of vision and strong leadership, Gordon had his detractors and critics – both inside and outside the church. 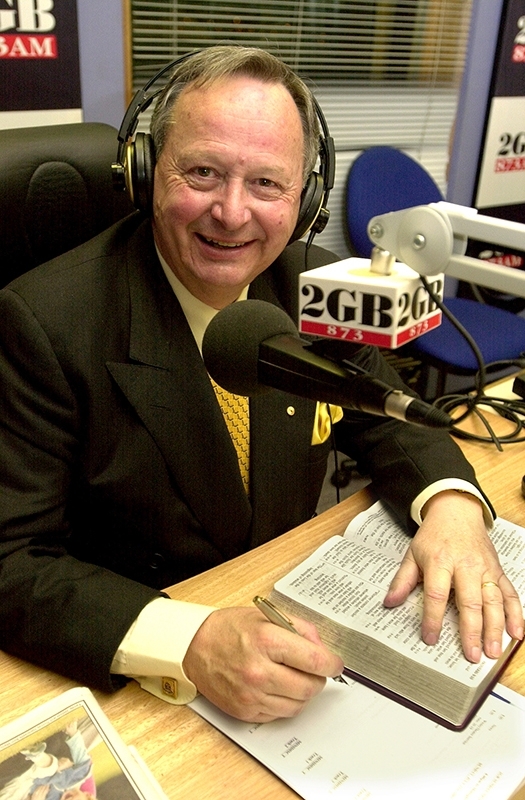 His disagreements with the various Uniting Church boards were often played out in the pages of the Sydney Morning Herald, as was the Mission’s ownership of Sydney radio station 2GB, when the Mission bailed out the then ailing station by buying its shares. 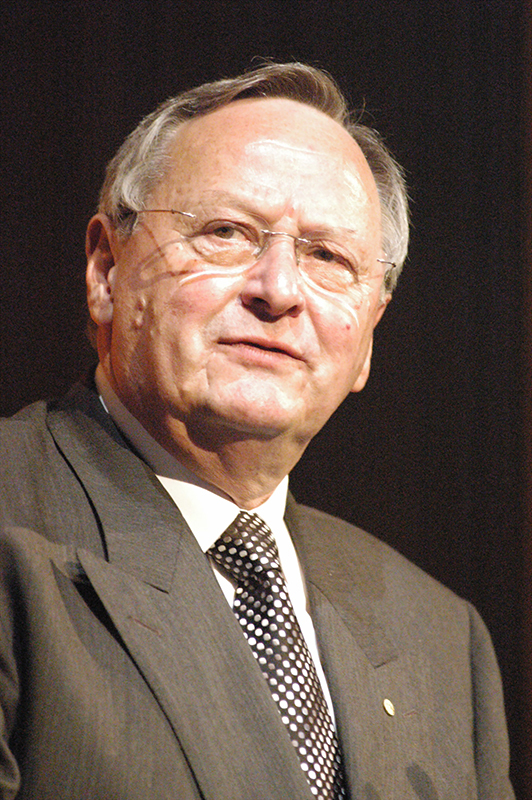 Gordon became chairman of 2GB and kept the station afloat during a difficult time, later selling it to John Singleton. Wesley Mission always needed leaders of great vision and conviction. That was true of Alan Walker as it was of his successor, Gordon Moyes. His early training and experience in ministry equipped him for his 27 years as Superintendent at Wesley Mission. Gordon also had a strong commitment to Rotary. He was President of Cheltenham, Victoria in 1974, and President of the Rotary Club of Sydney in 1993. He was honoured by many awards from Rotary, including being made a Paul Harris Fellow in 1978, and in 1994 received Rotary International President’s ‘Distinguished Service Award’. In 1996 Gordon was appointed as a member of the Prime Minister’s National Task Force on Youth Homelessness, and in 1999 he was made a Member of the Prime Minister’s Community Business Partnership Board. Gordon was made a Companion of The Order of Australia in 2002. On his retirement from Wesley Mission in December 2005, Gordon had completed fifty years as a preacher of the Gospel. He wanted only one word on his gravestone: Evangelist. Photo captions: 1) Gordon Moyes preaching. 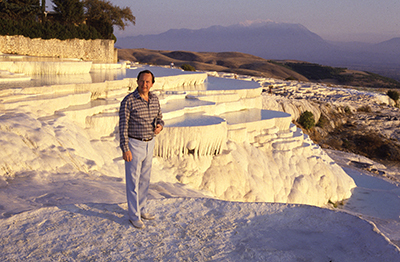 2) Gordon Moyes during filming in the Middle East. 3) Another picture taken during filming, 3) Gordon Moyes portrait. Martin Johnson worked with Gordon for 20 years at Wesley Mission as Media Manager and then Group Manager Corporate Communications.